This only works on phones with an ELECTRET Transmitter, NOT Carbon. 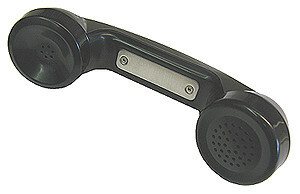 The transmitter sticks out about an inch further than a standard G-Style Handset. 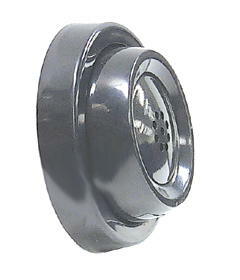 With a Noise Cancelling Transmitter you MUST speak directly into the mouthpiece. If you hold it under your chin you won't be heard because the microphone will think your voice is ambient noise and will block it out. NOTE: This Noise Cancelling Element does NOT come with a transmitter cup. Unscrew the old transmitter cap, remove the drop-in element (it should drop out), and replace the element and cap with this Noise Cancelling Transmitter and New Cap. IMPORTANT: If the existing regular Transmitter and Cup are one piece and soldered in, we may be able to make you a a new handset with a Noise Cancelling Transmitter already installed (we can make Noise Cancelling Handsets for most phones). Call us at 630-980-7710 when we're open and we'll figure it out.